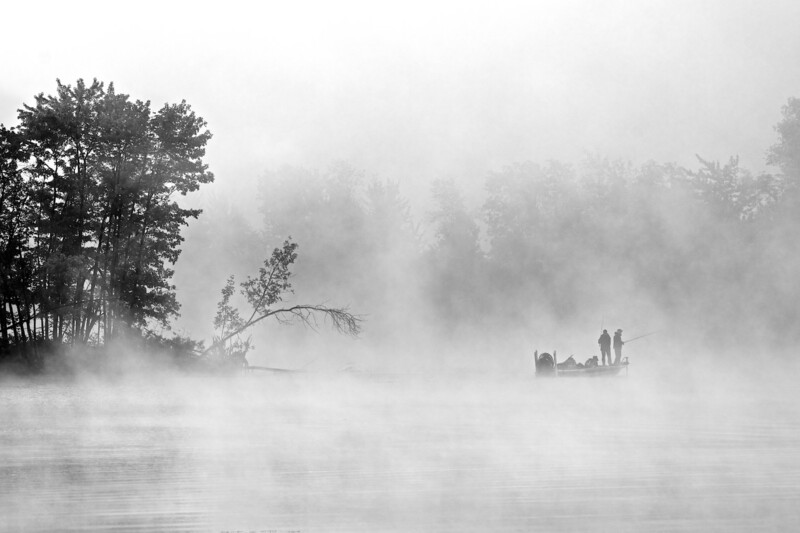 September 7, 2014: “The sun is rising and starting to eat away at the fog—revealing two fisherman who were up before the crack of dawn to drop their lines”, says Jamie McCaffrey, who shot self-titled “Fishers” using Nikon D600 and AF-S Nikkor 28-300mm f/3.5-5.6G ED VR lens. Vitals: f/10, ISO 200, 1/250, 122mm. He takes the Day for mood and composition. Jamie, who lives in Canada’s capital city, Ottawa, joined Flickr in October 2007—maybe. “My profile says 2007, but I presume they’re linking that to my first Yahoo account”, he says. Is that true for other people? I opened my Yahoo account in 1996, but Flickr correctly identifies joining in October 2005. Our shooter started in Mid-2011, with the Nikon D7000 “but I moved to the D600; and have since added the Fuji X100S and X-T1. I was going to sell the X100S when I bought the X-T1, but I haven’t been able to let it go. Its just too beautiful a piece of kit”. Good for him! I sold my X100T after buying the X-T1 this summer and regret the decision.